Lee W. Donaldson, 67, of Canton, died on April 6, 2016 at Canton Potsdam Hospital. There will be memorial service at a later date. He is survived by his wife, Catherine, a son, Aaron Donaldson of Massena, daughters, Leeann Donaldson at home, Susie Thompson of Massena, Amanda Robinson of Massena, Nichole and her husband Antron Faulk of Massena, brothers, Leslie and his wife Linda Donaldson of DeKalb Junction, Larry and Diane Donaldson of Canton, a sister, Leola Fredette of Canton, 17 grandchildren, 7 great grandchildren, several nieces and nephews. He was predeceased by a daughter Ellie Lemieux, grandchildren, Ryan Lemieux, and Christian Donaldson. Lee was born on December 31, 1948 in the Town of Canton, the son of the late Leslie and Helen Blair Donaldson. He married Catherine Barney in Massena on December 14, 2002. Marriages to Barbara Blandin and Gail Burcume ended in divorce. 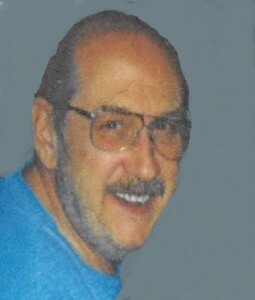 Lee was a custodian and van driver for Massena Independent Living Center until 2003. He loved spending time with his family, fishing, and watching western movies. Contributions can be made to the American Diabetes Association.